We're drawing our way through all 77 race/class combinations in the Pathfinder Roleplaying Game Core Rulebook. We're showing off the Halfling Rogue and Sorcerer today. 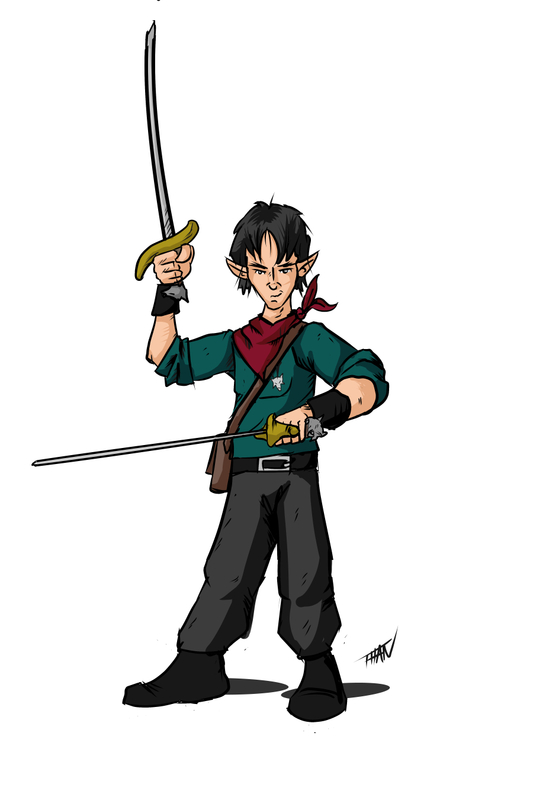 The last halfling, the Halfling Wizard, will post up before next week's entry as a bonus entry so stay tuned! If you've missed any previous entries you can catch up HERE! Virtual tabletop players, make sure to pick up some free tokens suitable for use in any virtual tabletop environment. The halflings will only be around for one more week! 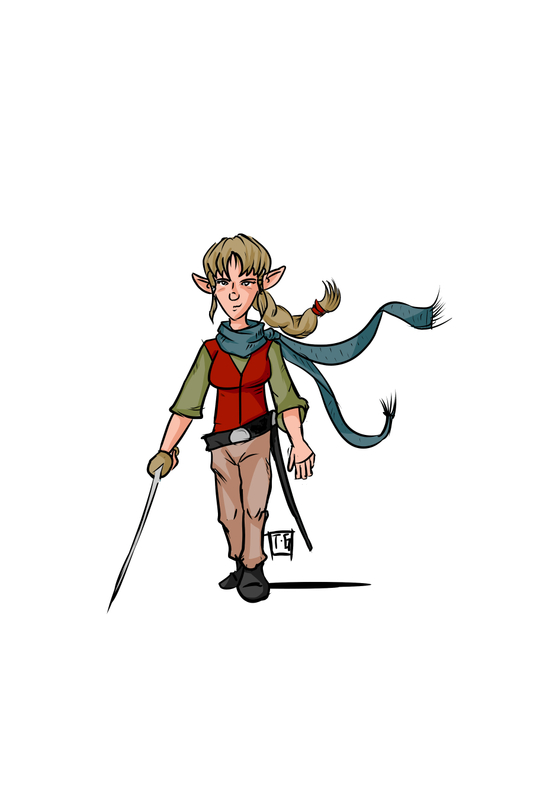 First up is the Halfling Rogue. She is a duelist with expertise in catching her enemy off guard. I gave her a leather jerkin for a bit of armor, but for the most part she relies on her swiftness for defense. I imagine that she uses that scarf as a trip technique. This rogue is based off one of the original Chronicle characters, a Caun named Demerus. She was a rogue that found a fallen paladin and served as his squire in hopes of helping him find his path again, I loved their story and hate that I've never gotten to tell it. Maybe one day! 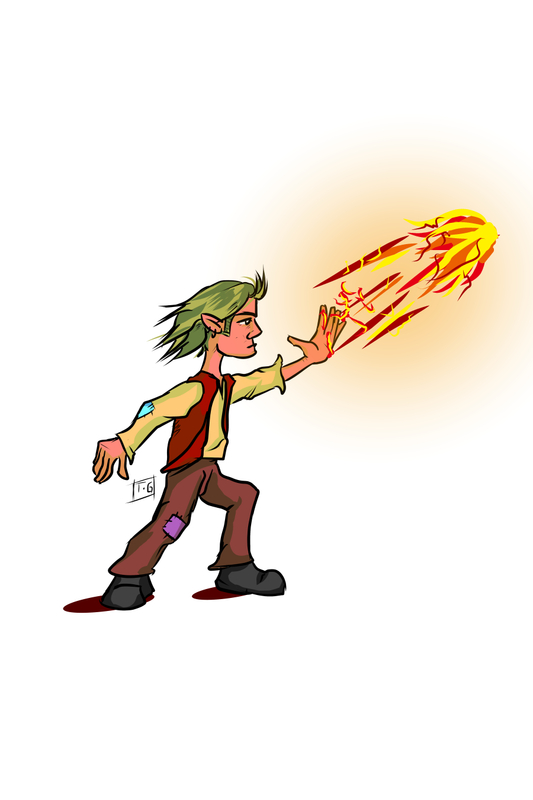 Next up is the Halfling Sorcerer. I like to show that sorcerers can be anyone and this guy is another example. There's nothing special about him, just a caun who is probably part of a caravan. But, when the caravan is threatened he can bring the fire and take care of the danger. He's had a Sorcerer's Surge or two in his time, as shown by the green hair. I also put a crackle of energy inside his fireball. I like the idea that magic effects have a crackle to them as they disperse the raw ethereal energy. That's it for this week's update! Keep an eye out for the Halfling Wizard, coming in the next couple of days. Next week, we kick off the half-elves!